Korina Lymnioudi, Medical & Holistic Doctor, Writer, Homeopathy, Lucid Dream Coaching, Life & Love coaching, Subconscious Reprogramming, Hypnosis, Change Reality Techniques. It was a sad cold day in winter of 1999 when all started. I had just finished reading the Lord Of The Rings after a bad break up. I couldn’t sleep, so it took me one day for each book of the trilogy. After 3 days living in that fairytale environment, I was feeling melancholic that I had to leave it and go back to real life. So… suddenly, it struck me! 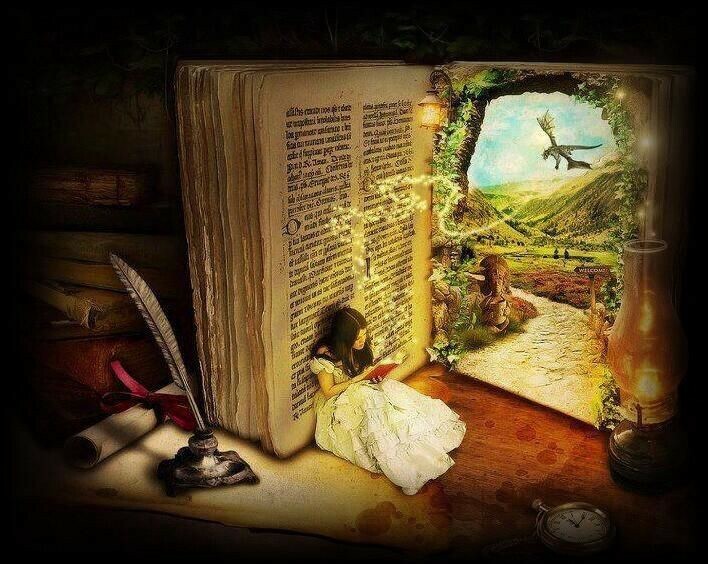 The only way to go deeper and deeper in a fairytale world would be to write my own book! On that night, I wrote the first 25 pages of the book. It was a truly magical experience, and even now I cannot explain how it happened..
How is it possible in just 6–7 hours to keep up writing 25 pages, while at the same time researching and studying real legends of Elves and Fairies? How was it possible to achieve all that in such a short span of time… still remains a mystery … …It was like time just stopped… literally !!! and she was actually right because it feels like these heroes are literally alive, somewhere, in a parallel universe… Who knows, maybe they are…! All of the things mentioned in this book, no matter how weird it seems, have actually happened in my real life in various ways. How is it possible to write a whole book by working on it only 5–6 times? I will paste here the dialogue without changing my not so perfect English…because I believe the dialogue must remain original…so excuse me for my English. Your books were always my refuge as I was an abused child till the age of 19. They gave me all the hope and strength I was needing! Thank you! I write now a fantasy book which I don’t feel is mine. I really receive it from somewhere else. It’s like I have no control. If I try to think what to write next, it doesn’t work. If I trust universe and I just say “ok, send me more…,” then I write pages. How does this sound to you? Isn’t that the way all of us write? The light we have shows our path for only a sentence or two, but we believe that it will keep showing us what follows after that. Our dear Somewhere Else is so happy we’ve found the principle that it promises it will work as long as we live. Thank you so much for answering this. I’m so glad you find it so normal. You know, it is like someone from up there is using only my fingers to type…At rest, when I write, it is like I see a video with the characters playing in it, and I just describe what I see. I know you write in your book about a video that appeared on the wall..but this was for real? Or this video thing sounds a bit crazy? I’m a bit worried, you see. The year was 1959 when I first had that startling event, when the wall disappeared. “Videos” hadn’t been invented at that time, so “wide-screen Technicolor” was the best I knew to describe what had happened to me. I was aware that I had the green-ink ballpoint pen in my hand, and some letterhead that a friend had given me to write on. I did not have the sense of the cold of the air around me that actual flying would have given me. It was… well, it was as if the wall had vanished, and I saw everything that happened for the next ten minutes or so. What you say happened to you was just what happened to me at the beginning of Jonathan Seagull. I’d correct that, though, and say it was not like seeing a video. It was almost as if I were there, watching a real event. That’s been true for me ever since, only lacking that breathtaking sudden awareness of being-there that I experienced. You are not crazy. Or it could be that you are crazy, but so am I. And I agree with you: it seems to be some other expression of life that needs our typing skills and our vocabulary to communicate what it knows. It’s happy that our name is printed as author of the book and that it’s us who spend the money that came from our strange experience. Hello, is it ok to take a screenshot of your answer for the readers of my blog to see? A few days ago, I started my author’s platform, and I’m trying to explain to new writers like me that, If they trust the universe, and they “channel” their book, they won’t get writer’s block anymore. People don’t believe they can channel their book. I believe everyone can do it. I think your answer will help people believe they can do it too! I’m honoured that you’d like to take a screenshot of those words! And sure enough, writers channel their stories just as architects channel their houses, and machinists channel their metal. Nothing strange about that. We all channel ideas in whatever form they appear. Was it really coming from akashic records, or was someone channeling it to me? Well…I must tell you that I found out…but let this be a surprise for you in my next post…because the entity that sends me the book really deserves a post for himself / herself!